Technical notes: In the visual phase, we have a concentrated and young wine. In the nose, we have a very aromatic wine with a high level of fresh red fruit. When tasted, it reveals to be an intense and fresh wine with round and fine tannins, making it quite consensual. Goes well with... Friends, a mutt staring hungry at the barbecue man, a child running, an old man complaining that the meat is too tough, the neighbors that complaint about the smoke, the women asking for a salad and... music! 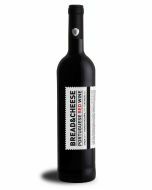 Produced to be drunk with the best meats, Meet and Meat red wine is dedicated to the experts on a good barbecue. 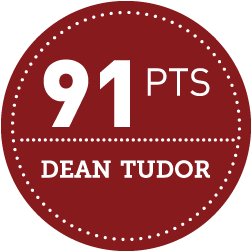 Meet&Meat Red – 91pts | The renowned Canadian sommelier Dean Tudor tasted and evaluated our wines. Dean Tudor shared his opinion on Wine With Spirit’s concept: “It is a great concept, to take some of the guesswork out of wine and food matching for unsure beginning consumers and millennials” said Dean Tudor, ” There are stories to read on each label”. 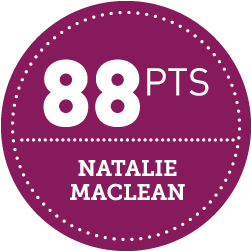 Meet&Meat Tinto – 88pts | The renowned Canadian wine writer Natalie MacLean who was named the World's Best Drinks Writer at the World Food Media Awards in Australia has tested and evaluated our wines. DECANTER ASIA WINE AWARDS Meet&Meat Red has been awarded the Bronze medal in September 2017. GALICJA VITIS The biggest wine contest in Poland. 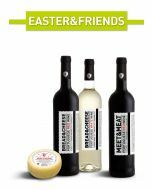 Meet&Meat Red has been awarded the Gold medal in June 2015.
INTERNATIONAL WINE CHALLENGE Meet&Meat Red has been awarded the Bronze medal in May 2015.